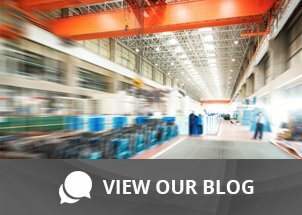 Why Certified Label Media Offers Better Barcode Label Output | Taylor Data Systems, Inc. 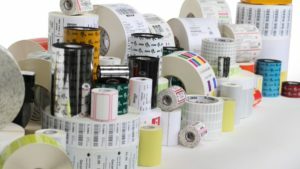 When it comes to industrial barcode labels, it’s crucial to use certified print media, including the right type of label and label material for your application. The label you choose should be pre-tested before putting them into circulation to ensure the facestock, top coat and printer ribbon (if applicable) matches your barcode application requirements. It’s also important to pre-test to ensure that the stock is produced with consistent materials. The pre-testing process helps to ensure barcodes and other information are printed correctly on each label, and the material stands up to your environment. If you’re not using certified media, it may not be designed for your particular application, and you could end up with unscannable, unreadable barcodes that can slow down production and be costly to correct. While you may have bought cheaper labels to save money in the short term, you’ll probably end up wasting time, media, and cost by having to reprint labels and rescan barcodes. And any scanning issues that cause downtime or customer dissatisfaction could end up costing you even more. Many businesses make the mistake of using cheap, low-quality labels designed for office use or only the most basic applications. This leads to adhesion failures. If barcode labels fall off, you can’t scan them and can end up losing assets or shipments and face operational disruptions and inefficiency. This is a common problem, particularly where a specialized label adhesive is needed for exposure to extreme temperatures, abrasion, chemicals, or sunlight. The most expensive problem with using uncertified media and low-quality label material is premature printhead replacement. Printheads are consumables and inevitably need to be replaced from time to time. But they can cost several hundred to a thousand dollars, so you want to get as much life out of them as possible. If you’re using cheap media or having to compensate for the wrong label materials and ribbon, you can end up using excessive print darkness and burning through your printheads prematurely. The best way to maximize your budget is to use label media and ribbons that are certified for your application, and carefully matched to your requirements to ensure proper print quality. This will also help to minimize both print darkness requirements and printhead wear. Our labeling experts at Taylor Data Systems are committed to helping you save money by thinking long-term and avoiding the pitfalls of using uncertified print media. This is why we recommend pre-tested, certified labels and printing supplies from Zebra Technologies. Zebra media and supplies are rigorously pre-tested for print quality, adhesive strength, printhead and printer wear, and other application- specific requirements. ISO9001:2008 quality procedures, so you know you’re getting the best available media. Plus, if you use Zebra printers and agree to use certified Zebra supplies exclusively, any printhead will be replaced at no cost if it ever wears out prematurely. How’s that for peace of mind? To learn more about saving long-term costs with certified Zebra media and supplies, contact us today.